NPR's Martin Kaste spent a few weeks this summer reporting from Berlin. 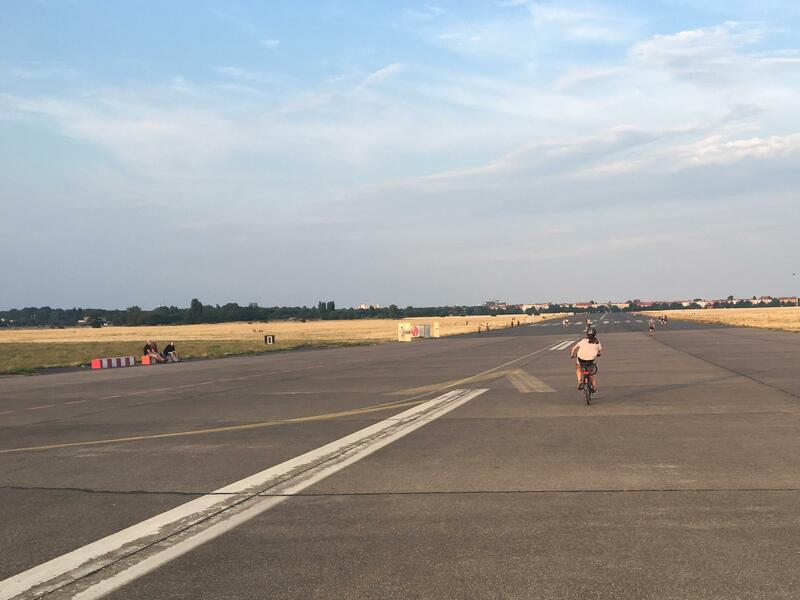 While he was there, he discovered the city's retired airport Tempelhof field - now a public park. Martin sent us this audio postcard from a place he calls the most engaging historical site in Germany. 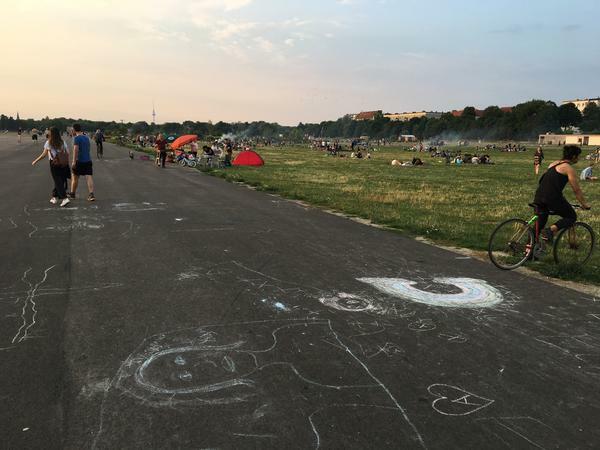 MARTIN KASTE, BYLINE: If you go to Tempelhof, you need a bike because - remember - this used to be an airport. And if you're plodding along on foot, you're just going to feel stupid. 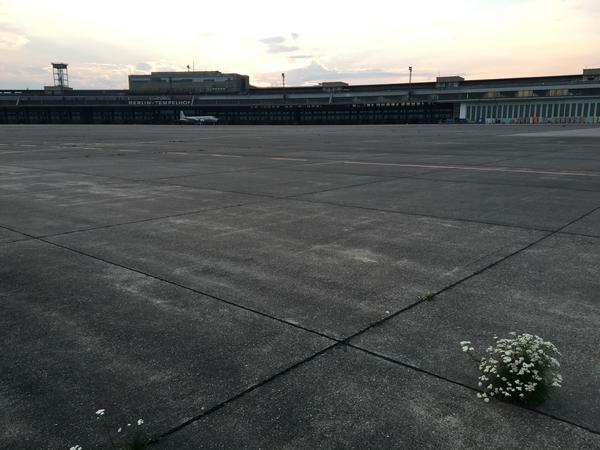 The beauty of Tempelhof is its wide-open hugeness. The runways especially are best experienced on wheels. UNIDENTIFIED CHILD: I like going really fast, so I can feel like an airplane. KASTE: Kids get this right away. Any wheels will do - bikes, skateboard, the guy on rollerblades pulled by the giant kite. And besides the simple thrill of rolling down these runways, there's the history to consider. KASTE: These runways were part of the Berlin Airlift, a desperate effort to 1948 and '49 to keep West Berlin fed and supplied during the Soviet blockade. UNIDENTIFIED ANNOUCER: For 10 whole months, a ceaseless stream of allied aircraft landed in Berlin, where Germans, supervised by British Army personnel, eagerly unloaded the vital supplies. KASTE: History comes in layers here. There's the airport buildings, still recognizably Nazi in their stone pseudo-Roman style - the sight of a forced-labor camp during the war. Decades earlier, Germans launched airships here. And if you go way back to the 13th century, this was the home of the local Knights Templar - hence the name Tempelhof. And German history is still being made here. SHAVIZADA PARWIZ: I am Shavizada Parwiz from Afghanistan. Since October 2015, I come Tempelhof. KASTE: One corner of Tempelhof is now a temporary home for refugees. Shavisada was in one of the earliest groups. They stayed in the hangars. Now, there are rows of modular houses for more recent arrivals. SHAVIZADA: For family, it's nice for people. It have two small rooms and one kitchen. It's better than hangars. 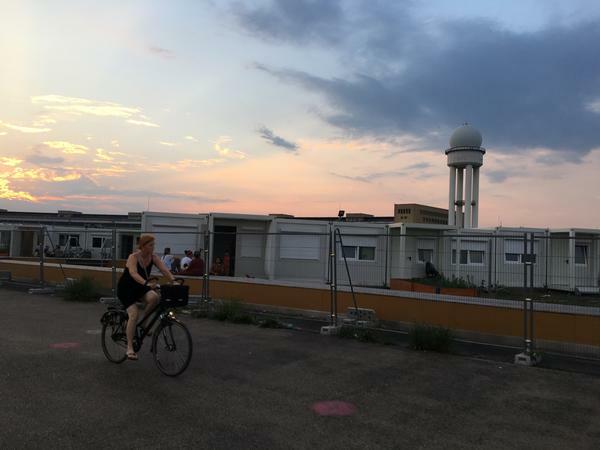 KASTE: It's a strange sight - people rollerblading past the modular homes' front yards, where kids from Africa and the Middle East play and shout at each other in German - this while aromas of distinctly non-German cooking flowed out of their kitchens. These unexpected juxtapositions are what today's Tempelhof is all about. KASTE: Shavisada has a part-time job at an information desk here, orienting visitors to the array of pastimes available at Tempelhof. There's the circus school, the giant kite flying, some kind of sport called jugger, involving padded medieval weapons. And then there's mini-golf. SHAVIZADA: Mini-golf - it's not mini-golf. It's really hard golf. KASTE: It's hard golf (laughter). SHAVIZADA: They make some things that's not possible to play - small hole, like high. I say to the people it's not mini-golf. It's impossible golf. KASTE: But it's ok, he says - to each his own. And that's the thing about Tempelhof. SHAVIZADA: No politics, no problems, only for enjoying - everybody come from everywhere. It's really my favorite place in Berlin. KASTE: Unlike the rest of the city, unlike the rest of the world right now, at Tempelhof nobody seems put out by what somebody else is doing. There's room for anything and anybody. Martin Kaste, NPR News, Berlin. Transcript provided by NPR, Copyright NPR.